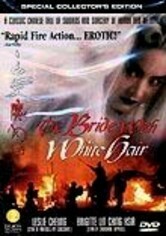 After herbalist Xu Xian weds a woman who saved him from drowning, he discovers that she's an incarnation of the 1,000-year-old Madame White Snake. 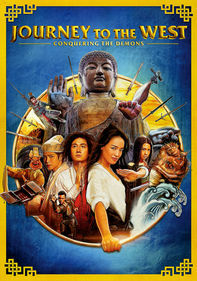 Desperate to escape his monstrous new wife, Xu Xian turns to the demon-fighting sorcerer Fa Hai. 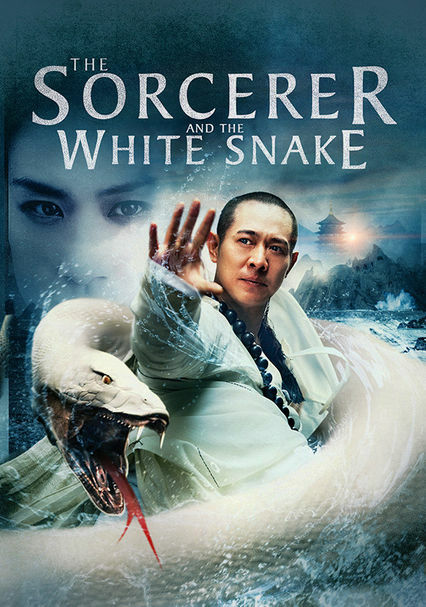 Parents need to know that The Sorcerer and the White Snake is a 2011 Chinese film about an herbalist who falls in love with a woman whom he does not realize is actually a 1,000-year-old snake-demon and tries to save her as a master Buddhist monk tries to send her back to the demon world, thus righting the balance of the universe. 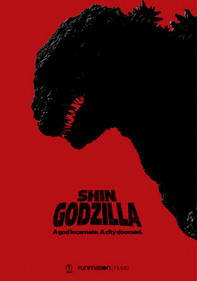 There is frequent martial arts-style violence throughout the film -- characters do battle with swords and knives, and, in one instance, send thousands of bats at a character -- but what is most troubling for younger or more sensitive viewers is the nightmarish imagery throughout the film. Demon images -- bat-demons and snake-demons, for instance -- frequently appear, and in one scene the monk does battle in a hellish landscape of lakes of fire and spewing lava. Also, early in the film, two beautiful snake-women are shown very close to one another, holding one another in a provocative manner. 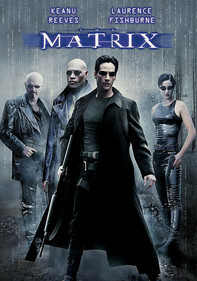 This is an excellent film that is best for teens and older. Early in the movie, two snake-women -- with human bodies above the waist and snake bodies below the waist -- are shown caressing each other and holding each other close. There also are kissing scenes between a man and a woman. 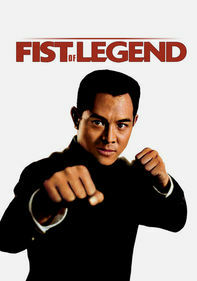 Frequent martial arts-style violence. Characters fight with swords and knives. Characters do battle with ferocious-looking demons, including a nightmarish bat-demon that sends thousands of bats to do battle with a man. A demon is shown being stabbed in the neck. A man who knows he's on the verge of turning into a demon is shown trying to hang himself with a rope. 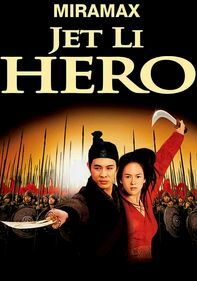 Although it's mostly too over-the-top as a martial arts fantasy to have much in the way of positive messages, the transformative powers of love are shown through discussion and action as the movie progresses.